The mint experimented with alternate materials for the cent such as ceramics, glass, other metals and plastics. They finally settled on a low-carbon steel cent plated with zinc. There were many problems to come for this new steel cent. When first introduced the new cent was shunned. The brand new 1943 cents with their silver color were often mistaken for dimes. Due to the magnetic property of the steel, magnets in vending machines used to pick up steel slugs would also reject the legitimate steel cents. (Imagine today a vending machine that uses a penny! Times have changed.) To make matters worse the two metals are not compatible in moist atmospheres. The steel cores would rust while the zinc plating oxidized. Even the sweat off of your hands would cause the coins to corrode. In 1943 when the mints were making the switch from copper to steel, some copper planchets remained in tote bins and other coining equipment and remained undiscovered. So a few copper cents accidentally got produced by all three mints. But thanks to the mint’s switch to steel cents there was plenty of copper for the war effort. Although the steel cent was not great to deal with, in the end the copper freed up for the war effort was enough to meet the needs of 2 cruisers, 2 destroyers, 1,243 flying fortresses, 120 field guns and 120 howitzers. This is enough copper to make 1.25 million shells for our big field guns. Shortly after the war the mints started to work their way back to the normal composition of the copper cent. In 1944 the mint began to recycle spent shell casings from the war and use them for cent production. Pure copper ingots were combined with the 70% copper shell casings to bring the alloy up to the pre 1943 95% copper, 5% zinc combination. However the same error that happened in 1943 now happened in 1944 and a few steel cents were made when they were all supposed to be copper. There are two explanations given why there are steel cents in 1944. The first one is that when the mint was switching back over to the copper alloy, a few of the steel planchets prepared for 1943 dated cents remained in the system and were struck as 1944 cents. The other explanation is that the Philadelphia mint used the leftover steel planchets to produce 25 million two-franc coins for recently liberated Belgium. Given the poor quality control that characterized the wartime Philadelphia mint, it is likely that some of these planchets found their way into a tote filled with cent planchets. In 1945 the mint began to withdraw the steel cents from circulation. The mint withdrew over a hundred million steel cents. This withdrawal and the corrosive metal of the coin makes a pristine, brilliant uncirculated example hard to find. But everything was going back to normal in 1946. This year was the transition from the cents being made from the shell case alloy and other cents using the prewar compositions of 95% copper, 4% zinc, and 1% tin. It is very hard to tell the difference between the two alloys. The 1943 copper cent is a very rare coin. If you happen to have a 1943 Copper Cent there are some ways you can easily check to see if it may be a counterfeit. One way is to look at the date. If you look at the “3”, you will notice that it slopes down toward the “S”. If the “3” looks like half of a “8” it is most likely an altered 1948 cent. Sometimes 1943 steel cents were copper plated to fool an unsuspecting buyer, but these can be detected by weight (see below). The 1944 steel cent is also a rare coin and is often counterfeited. Some 1944 copper cents have been zinc plated. To tell the difference a steel cent weighs in at 2.7 grams while the copper cent weighs 3.11. Also there is the magnet test. 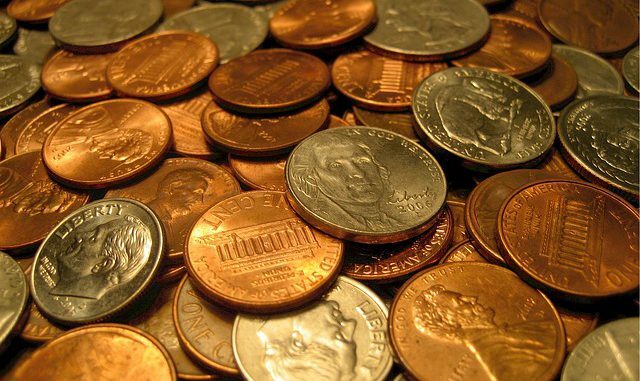 If the coin is attracted to the magnet you have a steel cent and if not, then it is copper. It can be verified that it is an authentic coin buy having it certified by one of the better grading service such as PCGS or NGC. 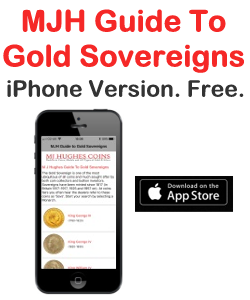 Wesley Edwards is a founder and the President of Daves Collectible Coins, a premiere online coin shop. 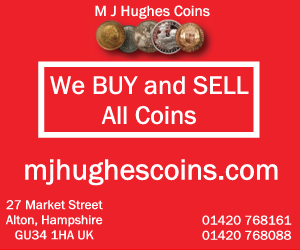 Specializing in US Collectible Coins. USA, 3 EARLY 5 cent COINS, DATES 1915,35 & 36, NICE CONDITION.